Post pruning of decision trees has been a successful approach in many real-world experiments, but over all possible concepts it does not bring any inherent improvement to an algorithm’s performance. This work explores how a PAC-proven decision tree learning algorithm fares in comparison with two variants of the normal top-down induction of decision trees. The algorithm does not prune its hypothesis per se, but it can be understood to do pre-pruning of the evolving tree. We study a backtracking search algorithm, called Rank, for learning rank-minimal decision trees. Our experiments follow closely those performed by Schaffer . 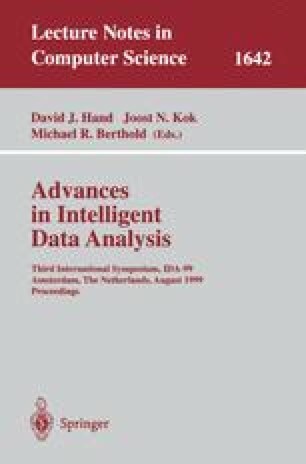 They confirm the main findings of Schaffer: in learning concepts with simple description pruning works, for concepts with a complex description and when all concepts are equally likely pruning is injurious, rather than beneficial, to the average performance of the greedy top-down induction of decision trees. Pre-pruning, as a gentler technique, settles in the average performance in the middle ground between not pruning at all and post pruning.